On October 29, 2009, the NGO Skateistan opened Afghanistan's first skateboard park. A group of 40 Afghan children, including girls and street-working kids, had been skateboarding for many months at an empty Soviet fountain in Kabul, and now had somewhere to call their own. On November 9, 2014, the five year anniversary of Skateistan Kabul will be celebrated by hundreds of students, staff, alumni, families, officials, community members, and supporters. Built on land donated by the Afghan National Olympic Committee, the Skateistan Kabul "skate school" was designed to be much more than a skatepark, also featuring classrooms, offices, a library, and a multi-sport area. Its goal was to provide free educational and recreational programming to some of the most vulnerable Afghan girls and boys. 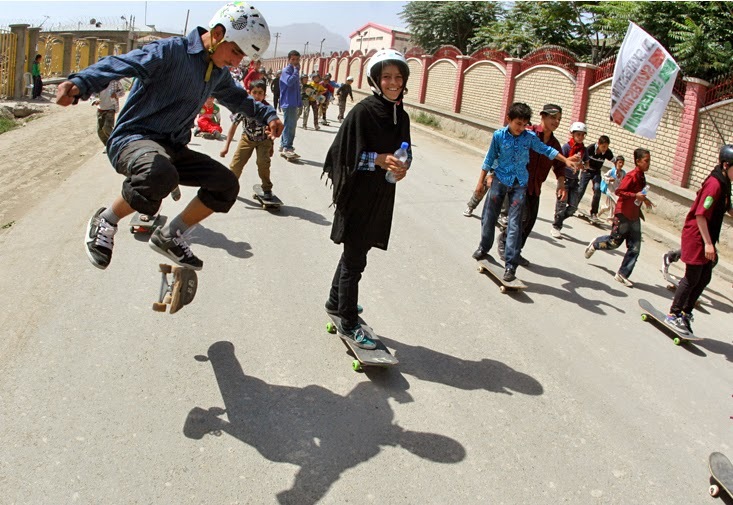 Skateistan Kabul became a rare, safe space for children to play and learn. 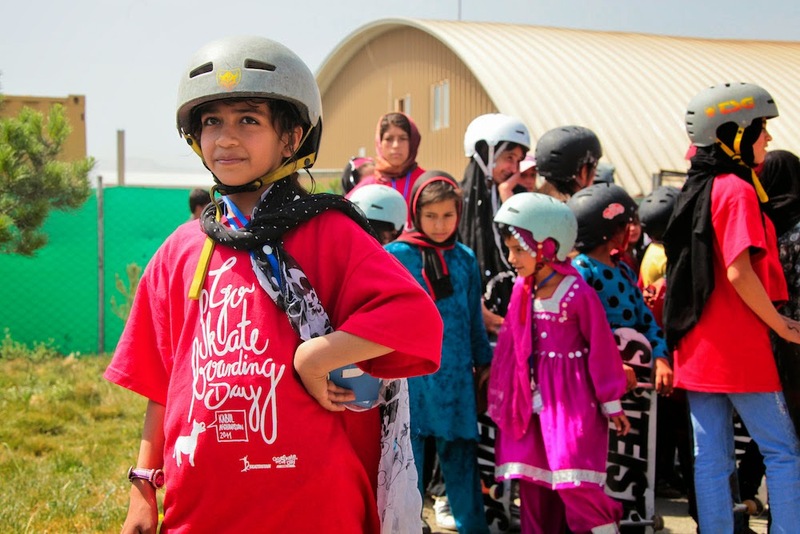 Five years later, Skateistan Kabul has registed more than 1500 children into its award-winning sport and educational programming, and has more than 400 children attending each week. Dozens of Afghan youth have graduated from being Skateistan students to volunteers and staff, leading the next generation of Kabul skateboarders. More than 40% of Skateistan students are girls. The 2014 anniversary event will include skateboarding demonstrations by the girls and boys of Skateistan, as well as various student performances (theatre, singing, film, speeches). The ten most iconic photos from the past five years will also be on exhibition. 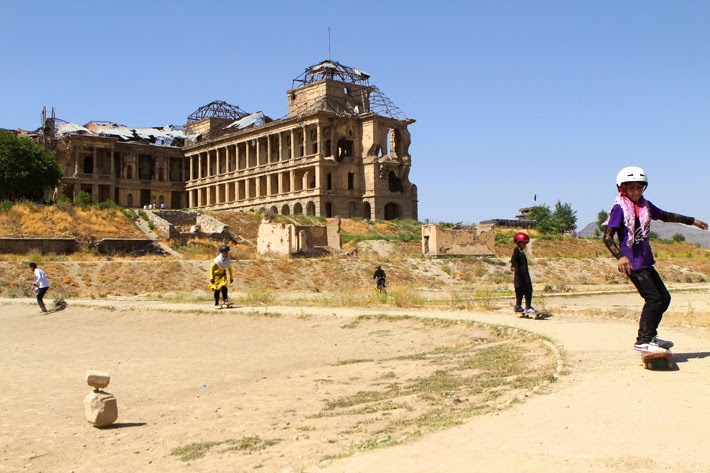 Skateistan Kabul's success has since inspired replica projects in northern Afghanistan, Cambodia, and South Africa. A 320-page colour book Skateistan: The Tale of Skateboarding in Afghanistan features stunning, previously unpublished photographs accompanied by essays, interviews and personal stories from Skateistan's founder, Australian Oliver Percovich, and the young people who have gone from being students to teachers in the skate park and classrooms. This is such an uplifting story. Consider buying the book for yourself and additional copies for friends and family. It is not only beautifully produced, the design and contents are very cool. All proceeds go directly back to Skateistan.